Julia Pfeiffer Burns State Park Campground is perched 80 feet above the Pacific Ocean offering spectacular views of the Big Sur coastline. There are only 2 walk-in, tent campsites here (#1 – Saddle Rock Camp and #2 – South Gardens Camp), but they are to die for. In fact, they are the most sought after tent camping sites along the California coast. 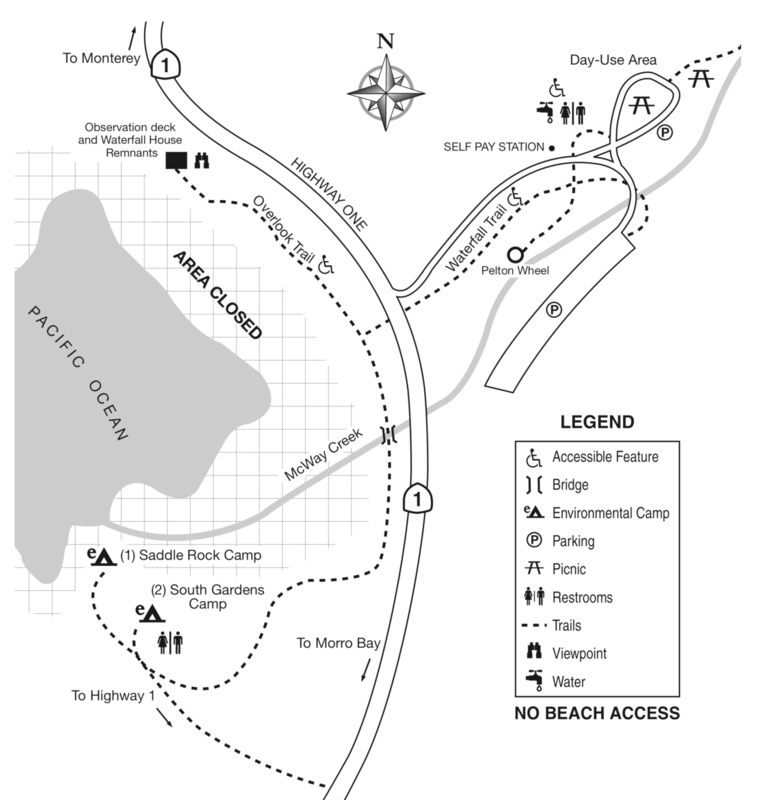 You’ll need to walk your gear (and water) about 1/2 mile from the parking area to the campsites. Each campsite also has a table, fire ring, grate and food storage locker. Vault toilets are located close to the 2 campsites. There is no water at the campsites, but there are a few water spigots and flush toilets by the day-use area. Julia Pfeiffer Burns State Park located along the Big Sur coastline and extends inland into the nearby 3,000-foot ridges. The park features redwood and other trees along McWay creek. There’s also an 80-foot waterfall (McWay Falls) that drops from the cliffs into a spectacular ocean cove. The park also includes a 1,680-acre underwater reserve teeming with an assortment of marine life. 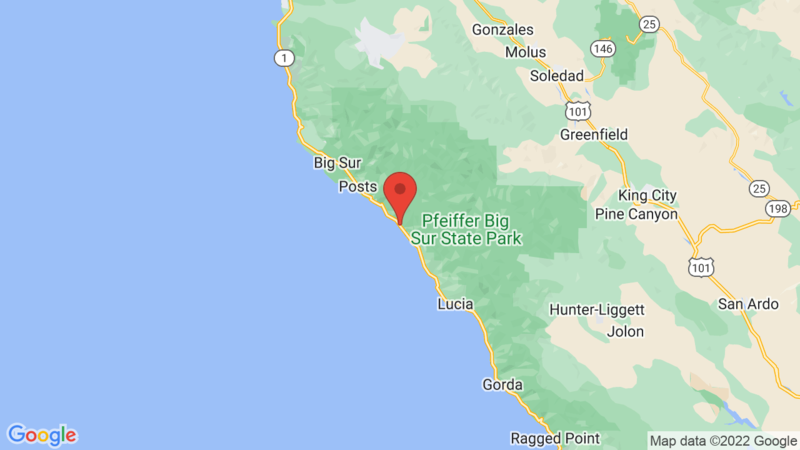 Pfeiffer Big Sur State Park is 26 miles to the south on Highway 1 and has 194 campsites along the banks of the Big Sur River. Visted Julia Pfeiffer Burns State Park Campground lately? We'd love to hear about your adventure. Did you find us useful? Did we forget something? Anything our community should know before heading out to Julia Pfeiffer Burns State Park?